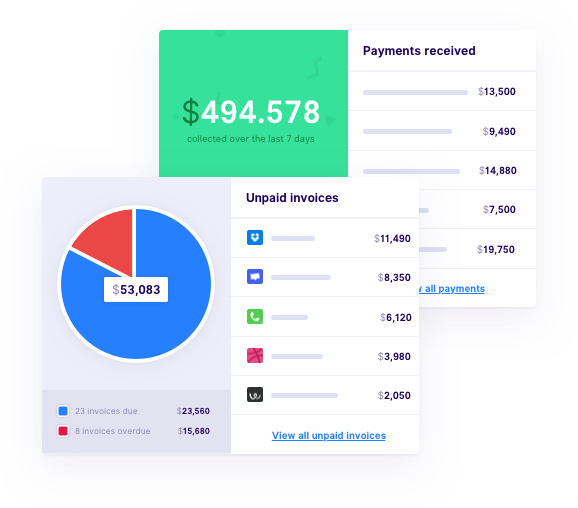 Manage your outstanding invoices better and get paid faster. Upflow automatically reconciles your payments and optimises your dunning process. Start using Upflow without replacing your existing tools today! 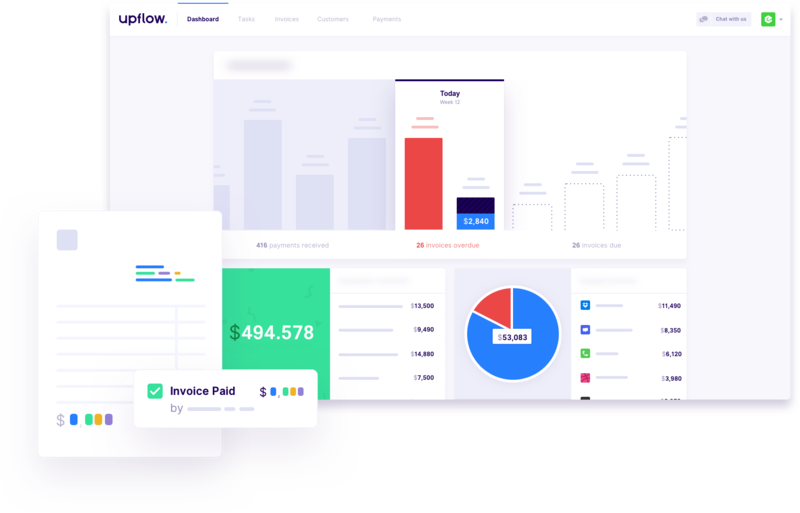 Upflow automatically matches your outstanding invoices and incoming payments in real time. Get an up-to-date overview of your accounts receivable and customer credit exposure at all times. Reduce your days sales outstanding. 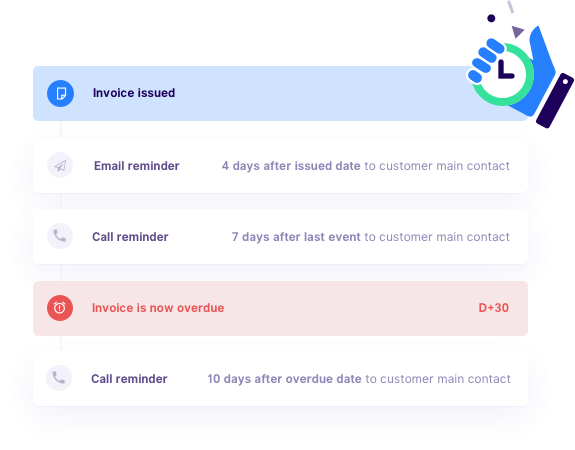 Set up specific dunning plans and keep track of all invoices. Define specific actions and assign them within your team based on each customer. Regain control & improve finances. 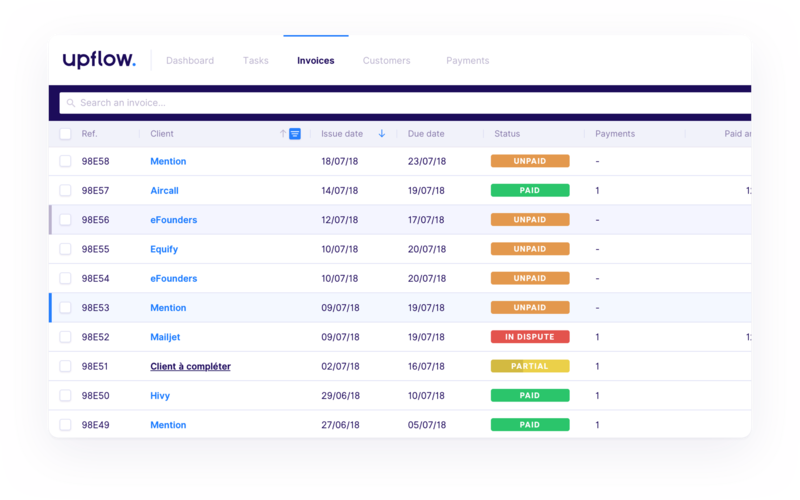 Engage your teams on receivables management across your business (finance, sales, executives…). Improve your cash flow projections with our predictive tools. A collaborative tool designed for agile teams.